Earlier this week we had a chance to speak with NewTek’s Andrew Cross about the recent acquisition of the company by Vizrt. The surprise shakeup in the world of broadcast production came on April 1 and was met with many questions. In our edited interview transcript, Cross discusses the acquisition, the road ahead and the overall health of the broadcast solutions market. Prior to the acquisition, Cross was NewTek’s president and CTO and will now assume the role of president of research & development. Why was now a good time for the acquisition and how will you fit into the Vizrt ecosystem? A lot of people look at this and think, well these guys have very different businesses. 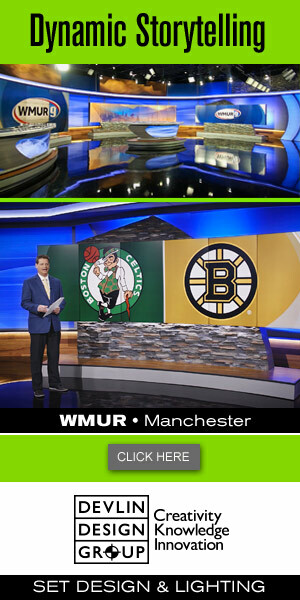 NewTek is the low and mid-range, and then Vizrt is high end. And how does that make any sense? We are both companies that, since our inception, have believed that computer software-based approaches and networking-based approaches are the future of video. So, philosophically, both of us have practiced this, literally, for 20 plus years. And we have both evolved into the leaders in our respective parts of the market with almost no overlap. Which is what makes this so good, because it means that we’re not kind of like, “Hey, we’ve got two graphic systems, which team are we gonna let go?” …This is very much a deal of strength, where we’re both very strong in markets. Vizrt is largely software-focused while NewTek has many hardware products as well. How does this merger impact that? We build our products around software running on computer systems. I mean, we see ourselves [NewTek] fundamentally as a software company and I, the leader of the company, Tim Jenison who owns the company are fundamentally software engineers. Now, we obviously believe that a lot of people don’t want to build their own computer systems, and particularly if you’re working in production that matters. You want somebody to help you put that together, to make a system that’s reliable, that puts all the pieces together, that you can call and get support on, etc. And I think that, while Vizrt makes software, I’m quite sure that they’re going to find places where our expertise in putting software and hardware together makes sense and vice versa. In fact, we are very much interested in looking at ways where our software can be used on systems that might not just be purely our hardware. Do you view this merger as creating a one-stop solution for production? I just wanna be very clear on one thing which is, we really … We believe in working with partners. NewTek took NDI, which was our proprietary protocol, and we gave it to the world… We just believe that if we grow this market as a whole, it’s good for everybody, including us. Where does this acquisition leave Lightwave 3D? So, that is a really good question, and I need to just be completely honest and say you know, every last detail of every last product has not been fully ironed out. We have every part of live streaming, and coding, transcoding, media playback, recording. You take that, combine that with everything Vizrt have … Which is everything from augmented reality to virtual reality, to graphics… and put Lightwave into that, what we have is a joint entity that spans really, every part of the market of which 3D and Lightwave is clearly part. Five years from now, do we expect Lightwave to be exactly as it is today? I would say we’ve failed if it is. I think that we need to honestly look at the Lightwave technology, which is an amazing technology, and work out how it plays a bigger role. How does this acquisition open up new markets and avenues for the combined organization? 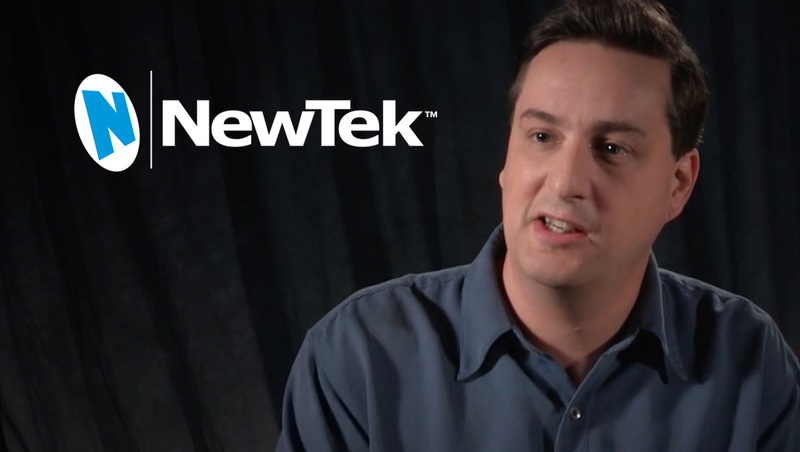 NewTek’s strength is innovation. We clearly push the envelope. We try to do things that disrupt the market and as a combined company we will continue to do that. I think it is really interesting, and a huge opportunity for both us, and for our customers. You can start as a mid-level streamer, and you can slowly step up as your show, your audience grows, and add pieces all the way up to being a tier one broadcaster. Is this change the first of others to follow in the broadcast market? Gosh. So, this is a difficult question because I think our market as a whole is generally in a weird place. In any typical market, you have big players who’ve been there for a long time. And normally, it’s just those big players who end up buying up a lot of the smaller players. The problem in our market is that those big players are having a hard time themselves, adapting to the change. That makes for a very weird dynamic that I believe is unpredictable, and hard to completely understand. I think that unlike most acquisitions though, both Vizrt and NewTek are growing profitable companies. And we’re doing this to build something bigger. How much autonomy will you have within Vizrt? Or is the ultimate goal to make you one company, one culture? I think that, culturally, we believe that there is a very strong fit. I’ve known the co-founder of Vizrt [Petter Ole Jakobsen] for… 10 years. I mean, when I go to Norway, I go fishing with him. In terms of brands and positions, we both have strong brands in different parts of the market, which is what makes us interesting. And it’s absolutely our intent to keep those brands, and those parts of the market. I think that we believe that in the markets where NewTek is strong, we should keep the NewTek brand. And in the markets where Vizrt is strong, we should keep the Vizrt brands. NewTek has a very strong and very dedicated set of channel partners. We have, probably, one of the largest distribution channels in the world, while Vizrt sells directly. And we see the fact that there’s no overlap there as a huge benefit. When we look back a year from now, what will we see? That is a difficult question, and the reason why is that, I believe that what will happen is that five years from now you’re going to look back, and the landscape of media will have changed dramatically. You will see a combined company that clearly has a big impact on the way that media, at that point, is being produced, what is seen by users, how content is created.